Fruit blossom is on the move, even though it is only the end of March. 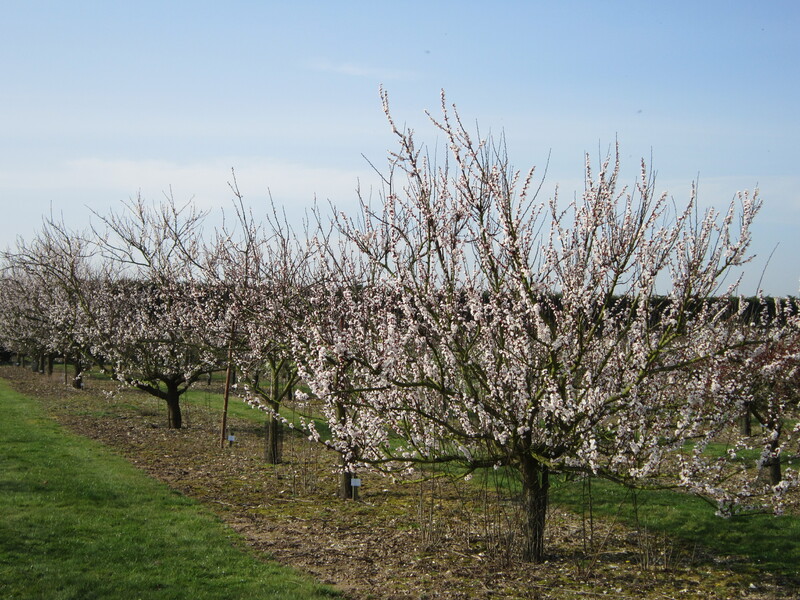 We will follow its advance through the National Fruit Collections, Brogdale, Kent, courtesy of Mary Pennell who has kindly agreed once again to give us a weekly update. With the lovely sunshine and warm temperatures this week, everything has moved on very quickly. Bud development at the moment is looking to be some 2 – 3 weeks earlier than the average this year due to the generally warm winter and spring. The apricots are all at full flower and looking really amazing this year. 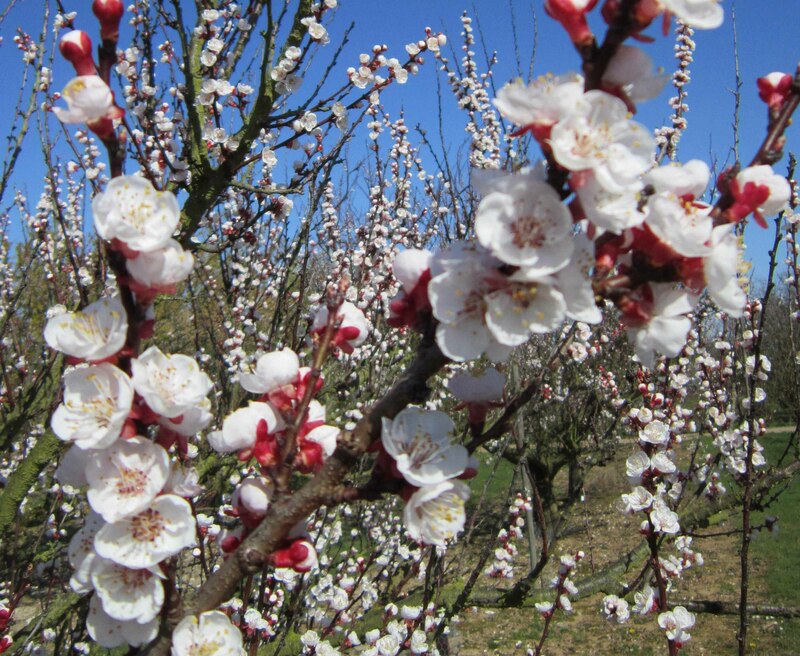 Some years the apricot blossom seems very patchy but this year it is abundant. Let’s hope that we don’t get a frost in the next few days to spoil things. They appear to be about a week later than last year but still considerably earlier than in previous years. Some early plums are in flower and most won’t be too long if this weather continues. One or two of the early pears are in flower but most are at the green cluster stage – the cooler weather forecast this weekend will no doubt slow things down. Most apples are at bud burst or slightly beyond. Cherries are also moving on. Growing Fruit Trees in Ghana: advice please? 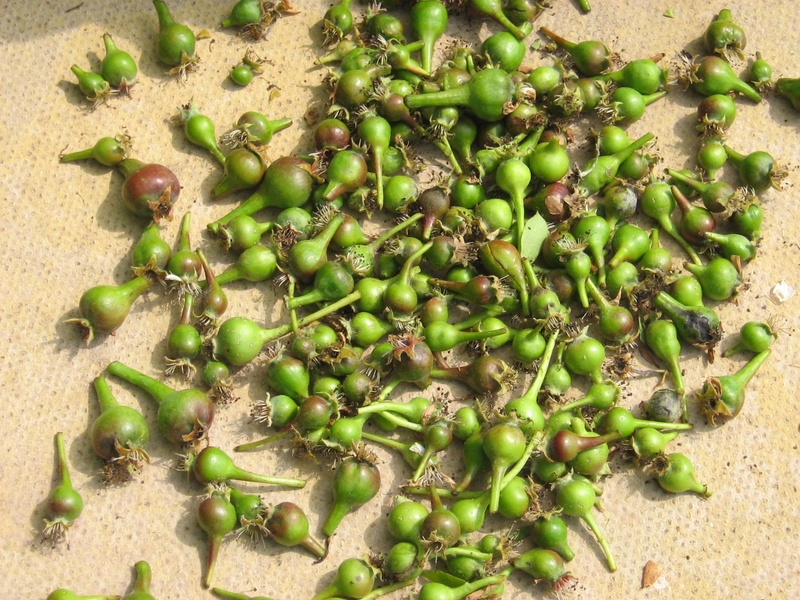 I am a pensioner in Ghana with plenty of time to try whatever interests me and would seriously like to grow apples, pears, peaches and greengages from cuttings or seeds for obvious reasons. I would appreciate any advice or help in this matter.